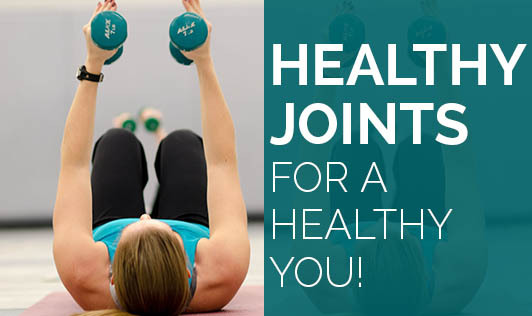 Healthy Joints for a Healthy You! Move your joints through their full range to prevent joint pain. The more you move, lesser the joint stiffness. Keep changing sitting and standing positions and take breaks in between work. To reduce the strain on your hips, knees, and back, lose a few kilos. Healthy weight is necessary for healthy joints. Stretching exercises are helpful. But, do a few warm up exercises before stretching joints, ligaments, and tendons. Low impact exercise is best suited for those with joint pain. And if you already have arthritis, consult your doctor or physiotherapist to learn the right exercise. Stronger muscles around the joints can protect them from stress; especially strong thigh muscles will help you prevent the risk of arthritis. Know your joint limits! If the pain after exercise lasts for more than 48 hours, it is time to reduce your activity level to prevent further damage. A diet rich in omega-3-fatty acids like fish (salmon, mackerel), or cod liver oil capsules will help in reducing joint inflammation. Good calcium intake will help strengthen bones. Include milk/milk (skimmed) products at least twice a day. Good posture protects your joints as well. Stand and sit up straight, walk upright, and swim to keep your posture right. Let the bigger muscles and joints support the weight that you carry while carrying/lifting weights. It is advisable to support bags on your arms rather than in your hands. Though any physical trauma can be treated these days, precaution is always better than cure.Take care before the damage worsens.